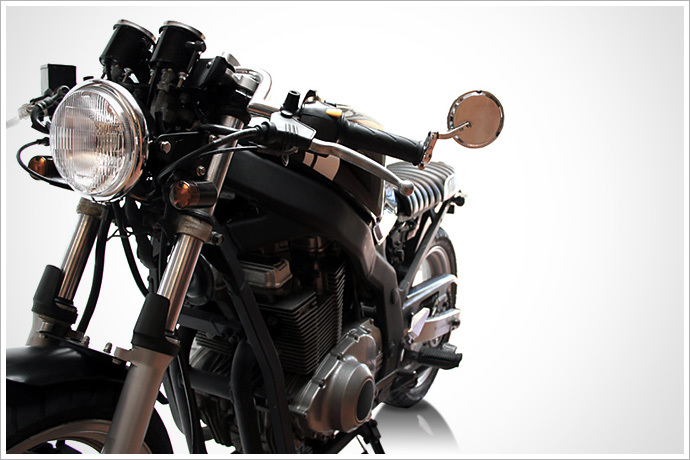 It is very hard to believe that this bike is based on a 30 year old model. 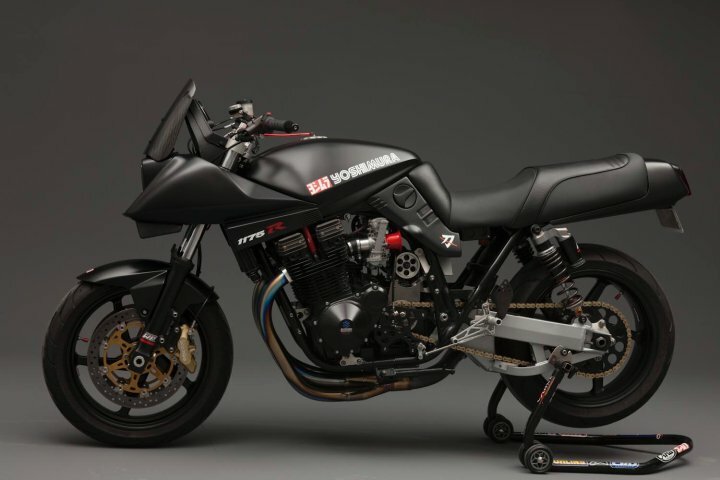 The Suzuki Katana was not that popular in it’s time as the European design was considered quite radical, however, it has developed a strong cult following over the years. 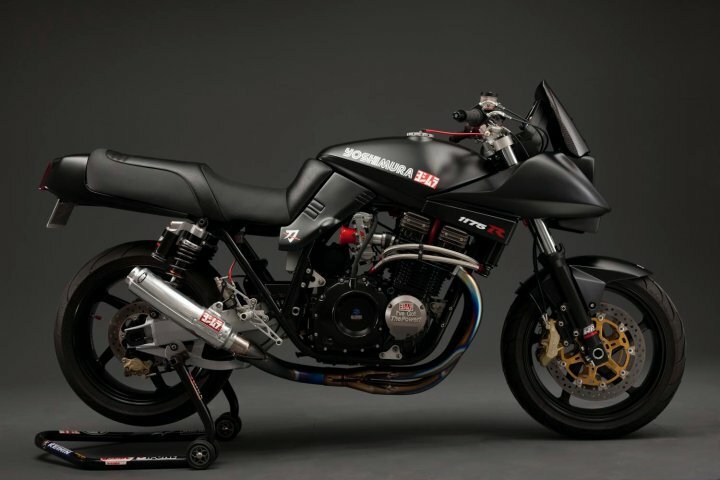 Here we have the Yoshimura custom, with the beefed up engine, matte black paint and plenty of other tidy goodies. 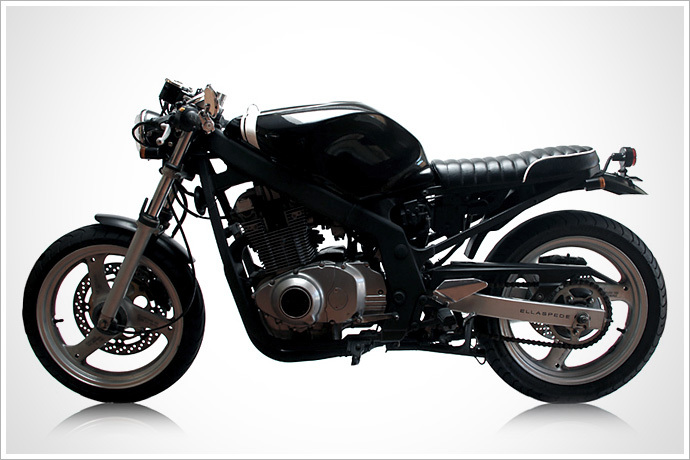 To be quite honest, I also thought the Katana was quite an ugly bike until I saw this. Maybe it has finally come into its age. This may not be the most beautiful cafe racer in the world but I really admire taking arguably the most boring bike created in the last decade and breathing new life and style into it. Normally this would entail bolting on a range of aftermarket loud pipes, garish stickers and twin headlights – streetfighter style. 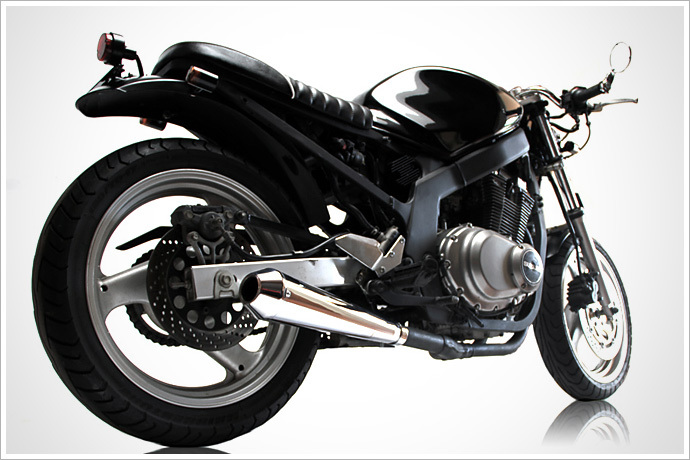 Instead, custom bike bulders Ellaspede has taken this 2001 Suzuki GS500 and gave it a pygmalion transformation with parts you would normally find on a classic Triumph or BSA. The striped back look of the clubman bars, custom seat and paired down indicator and tail lights has turned this daily commuter into a daily commuter that I would want to be seen with. Great job!